Making sure you and your family get enough of the right vitamins and minerals is an important part of helping your bodies stay healthy. Your oral health is no different. 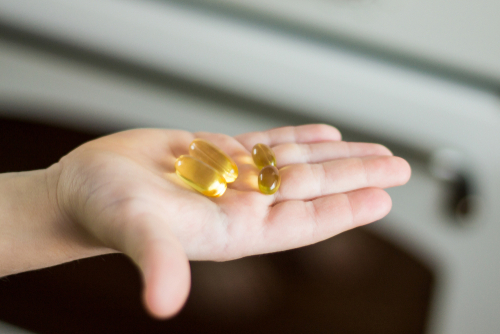 Kids and adults alike need to get the recommended amount of a variety of vitamins (and minerals!) in order to develop and keep strong teeth and good oral health. Our dental office in Austin is here to help give you a guide on what vitamins your family needs. Fluoride is a naturally occurring element that just so happens to also fight off cavities and decay. It’s also crucial in developing strong protective tooth enamel. Most public water supplies include enough fluoride to protect your teeth, but your dentist in Austin should also provide fluoride treatments to your family regularly. Whether you choose to get the vitamins you need in the form of food or supplements, making sure you get enough can help protect your smile. Of course, maintaining regular appointments at our Austin dental office is also important for optimal dental health. Call to schedule a visit with us today!